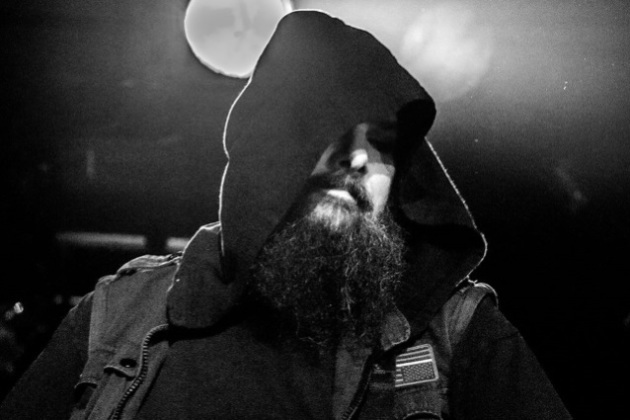 American Head Charge (AHC) bassist Chad Hanks, the principle songwriter and co-founder of the Twin Cities industrial metal band, died on Sunday at age 46. His friends’ tributes around the internet said he had been suffering from a terminal illness. Hanks and AHC frontman Cameron Heacock went from little hometown recognition to playing in front of big crowds at Ozzfests, 93X Fests, Slipknot tours and a lot more in the early-2000s. They then put on some well-remembered local gigs at First Avenue, where a benefit for Hanks already on the books for Nov. 26 will now be a posthumous tribute to him. “It’s full-contact music,” Hanks once told the Star Tribune of AHC’s intense, rowdy live shows, where the band members sometimes endured as much physical damage on stage as did fans in the mosh pit. In a later interview, he did not bemoan what he saw as a creative slump in the Twin Cities metal scene: “That’s sort of how it was when we started, and we liked being the ones to lead the way,” he said. During the recording of that album, guitarist Charlie Paulson of the Los Angeles ska-rock band Goldfinger — a childhood friend of Hanks’ from California — described to the Star Tribune how Hanks provided the fuel behind AHC’s fiery sound. Hanks and Heacock were both native Californians who met in a rehab facility in Minnesota in 1995 and formed the band soon thereafter. They remained AHC’s two constant members, enduring such calamity as the sudden death of guitarist Bryan Ottoson in 2005 and more stints in treatment programs. Heacock posted a heartbreaking photo Sunday on Facebook that showed him head-to-head with the bedridden Hanks, with no words offered (or needed). Touted with the Hunter S. Thompson quote, “Too weird to live, too rare to die,” the Nov. 26 tribute to Hanks at First Ave will feature performances by Black Flood Diesel, Blue Felix, the Omega Sequence and more as well as a silent auction to help offset Hanks’ medical expenses. Tickets are on sale for $15 via eTix.com.